Kaizen is a widespread practice of business process improvement with roots in post-WWII Japan.Today, companies in all kinds of industries are applying the tenets of Kaizen to the way that their operation runs, including cell phone manufacturers. Get the skinny on Kaizen in this article: Workforce Management Solutions: What is Kaizen? 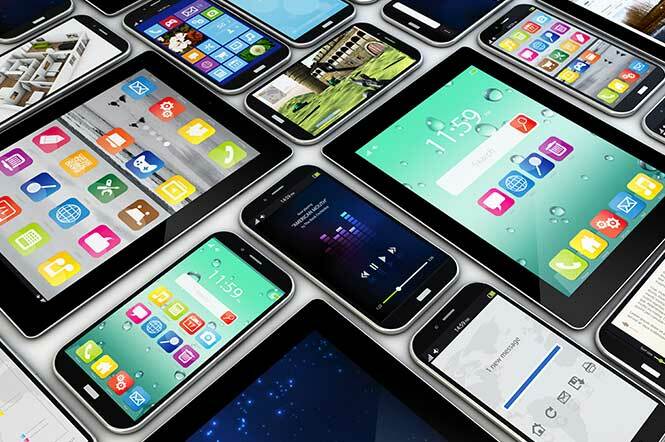 The cell phone manufacturing field is one that is very suitable for Kaizen because of how rapidly it advances. In just one or two years, the technology in cell phones will often get exponentially better. There are several other reasons that cell phone companies are using Kaizen to improve the efficiency of their business procedures, all relating to what most people expect from the cell phone industry. Technology is one of the fastest-growing fields in the entire world, and cell phones are at the forefront of this change. Part of this is due to the huge prevalence of mobile devices in today’s society. Research shows that 90% of American adults have a cell phone, and over 60% of American men own a smartphone. Because of the way that the cell phone industry progresses, cell phone manufacturers have to provide top-quality products that get better and better each year; if not, they run the risk of being forced out of the market by more efficient companies. Even more challenging, companies have to do all of this while still keeping their price point in line with their competitors. So how have cell phone manufacturers managed to stay in business, despite the substantial advancements that happen quickly and the fierce competition in the field? One of the primary contributors to success for cell phone manufacturers is their ability to consistently maintain a lean manufacturing model by using the Kaizen principles. Instead of the traditional large lot method of manufacturing, cell phone companies are using a one-piece-at-a-time method so that they can minimize the time needed to produce a single product. This is also known as JIT or just-in-time manufacturing, where companies do not hold a large stock of raw components on hand; instead, they keep only what they need to fulfill customer demand. Jidoka is the Japanese name for a concept that is also referred to as autonomation. The principle of Jidoka is a style of automation that incorporates a human touch, usually in a supervisory capacity instead of within the actual functions of productions. This way, the production is automated, but supervision is done by real humans, making it easier to halt the operation in case issues arise. Jidoka can be carried out in many different ways for different companies, but in cell phone manufacturing it usually requires a cessation of the operation in question until things are fixed. From there, supervisors will look at the problem, fix it, and install a countermeasure so that it does not happen again. Kaizen and manufacturing are two concepts that go hand-in-hand with each other. In a competitive industry like cell phone manufacturing, it can be difficult for companies to maintain both sufficient production speeds and quality manufacturing. Kaizen is one of the ways that any cell phone manufacturer can ensure that they are getting enough of both, so that they can satisfy the demands of their customers while still maintaining healthy profits.